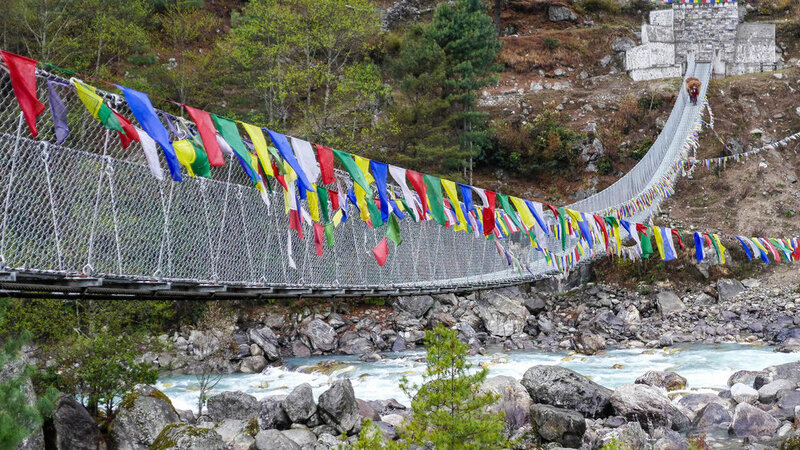 First-time trekkers in Nepal are always wowed by the Khumbu region around Everest and the Base of Annapurna. Yep, you read that correctly, first time trekkers. I honestly recommend Annapurna for first time trekkers. Nepal is a wonderful place with adventure treks for all levels. When I first talked to a friend of mine about leading treks to the Base of Everest her first reaction was, “Aren’t you afraid?” Fear never entered my head. For as long as I could remember I always wanted to trek in the Himalayas. Now, all I want to do is share my experiences with others. Everest is incredible, but you have the altitude which can be a bit intimidating for first timers. Annapurna is lower in altitude, therefore can be more forgiving. However, if you are a serious hiker Annapurna can suit you as well. We can accommodate all levels, but for now I’d like to focus on those of you who have not trekked. Trekking in Nepal is an adventurous activity. Getting out of the cozy comforts of home and beginning this adventure can cause anxiety. Guidance for me is the number one secret to being successful on your treks. Find a company that will be there for you from the first phone call until the end of the trek. It’s about your journey, not just the destination. The journey starts at home. One of the biggest questions I get asked is about physical fitness needed for the Everest base camp tours and other personalized adventure trips in Nepal. If you are a person who goes for some form of exercise regularly, you should have fewer problems during your trek. Ideally you should be able to walk 4 -5 hours up and down hills comfortably. I recommend starting with short hiking trips about 3 – 6 months prior to your trip. Make sure some hikes have some steep incline here and there. If you are doing this regularly you will build up your endurance and do just fine. Trekking is not about speed, but more about being steady. Endurance is the key to enjoying yourself on a trek! Next decision is tea house verses camping. I highly recommend the tea house treks. They are all locally owned and operated. They serve wonderful Nepalese food, provide cozy accommodations and you meet other travelers. If you love to camp and want to go that route, please ask your trekking agency to organize support teams that can help you with logistics. We all hear about altitude sickness, but what exactly is it? I often get asked how it can be prevented. You can prevent altitude sickness by really listening to your Sherpa or guide. We watch everyone very closely, taking our time as we trek making sure everyone is acclimating and is healthy. Altitude sickness is basically the physiological impact you will have due to high altitude and thereby dropped oxygen level. It can be prevented by knowing your limits, staying slow and steady and communicating the minute you feel something isn’t right. Your Sherpa is there for you! Hydration is key to staying healthy while trekking. Water, Water, Water! Stay hydrated. When you are trekking in the hills and mountains of Nepal, you can get dehydrated quickly which can cause problems for you. Drink lots of water and fluid during your treks in Nepal otherwise you’ll have headaches and make you more susceptible to altitude sickness. I travel with 2 water bottles. There are water stations all along the trail in Annapurna to fill your bottles. This particular region of Nepal is trying to cut back on plastics starting with water bottles. You should pack enough layers, including thermal underwear, to protect you from the cold. It would be a wise idea for you to pack synthetic t-shirts, instead of cotton ones. They dry fast and will keep you warmer. Do not pack brand new trekking shoes while climbing the Himalayas- they will definitely hurt you. Make sure you have at least 25 comfortable miles in your hiking boots before you set out on a trek. Some other essentials you might need include sunglasses, mosquito and insect repellent, sunglasses, woolen socks and gloves, sunscreen, travel size toiletries and basic emergency medication. We provide hiking poles, heavy down coats and sleeping bags for those who need them. Hiking Poles are a must when trekking in Nepal. They help your knees and balance whether you are going up or down. Your company should give you a complete packing list and be available to answer any questions you may have. I hope that this information is helpful for you as you work closer to your dream of going trekking in Nepal. Make sure you do the research and find a group that fits you. I prefer small groups, max 10 people, so that your individual goals get met and you’re not lost in a crowd! Better yet you can put your own groups together!!! I’d love to have you join Driftwood Adventure Treks in April, the 12th through the 25th, as we trek to Annapurna Base Camp.